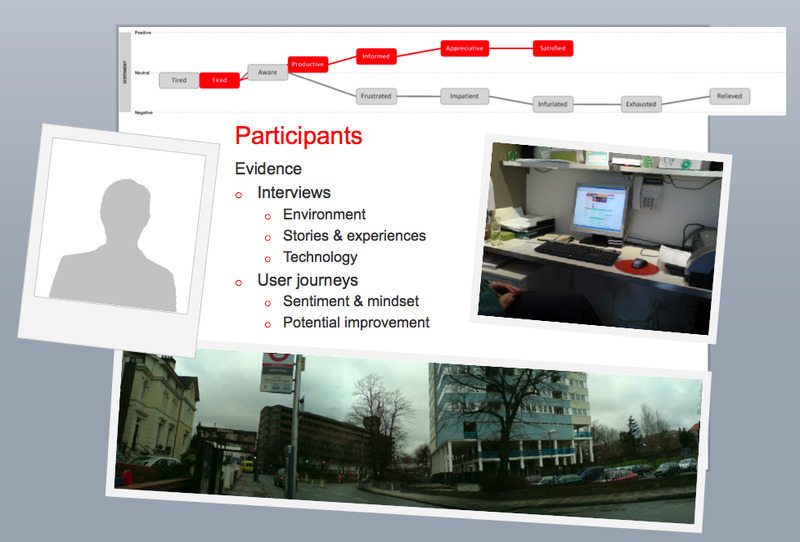 It was important for this project to carry out usability testing’s that accurately explored the problems and barriers users face when using our website. So the usability testings were conducted in the users home where they would use the machine and be in their normal surroundings. 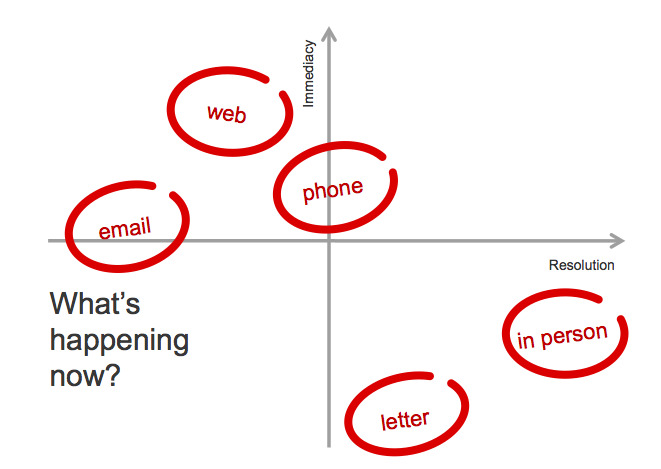 This helped to understand the constraints and challenges users face in their own environment. The image above shows how the usability testing was conducted and the typical desktop environment that is found in a users home. In most situations or other types of websites, it’s quite easy to understand why usability testing is important. For instance, an e-commerce website will see users leaving a website before they finish a transaction as a loss of income but for a government website, the impact of bad website usability goes much further. 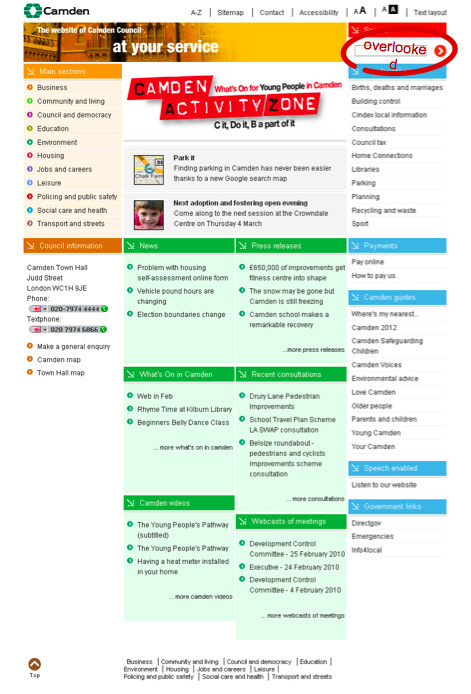 Users use government website such as Camden Council’s website need to find essential information or carry out transactions that effects their lives. Failure to do these tasks can lead to users failure to benefit from council services that could help make their lives easier and more manageable. Therefore, usability testing in this project is vitally important to ensure residents get the services they need in a timely and efficient manner to avoid frustrations and delays. 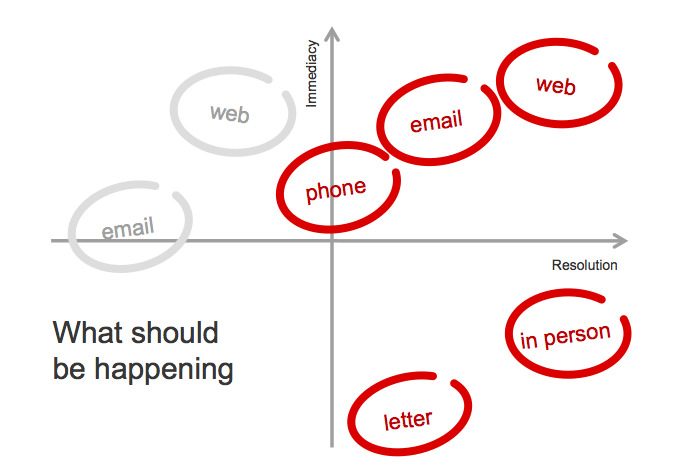 According to Jakob Nielsen usability is a quality attribute that assesses how easy user interfaces are to use. The word “usability” also refers to methods for improving ease-of-use during the design process. These charts clearly shows that there is a disconnect between what should be happening and what is currently happening. We are hoping with the new website redesign, we will be able to address the disconnection and reduce users contact with the council through more costly channels such as the phone, letter and in person. 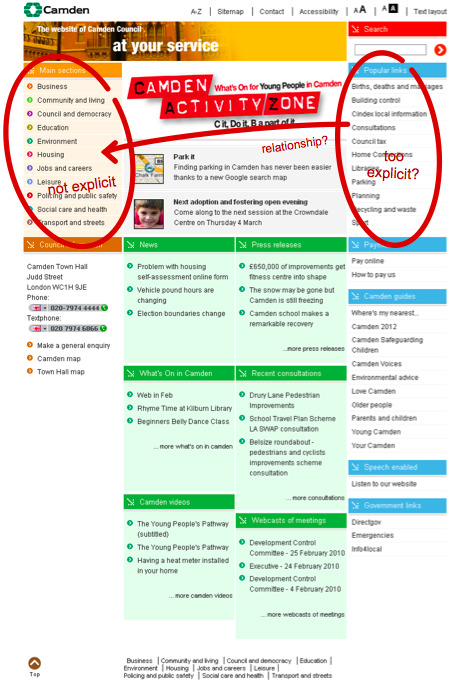 We did discover a couple of things while conducting our usability testing on the current website. We also conducted our own research on eyetracking testing Vs. mouse tracking/observational testing’s. You can find the research here or read it below. Email is neglected as a preferred form of communication because delays are frequent and responses are untrustworthy or sometimes unforthcoming entirely. Response times must be more consistent, with all responses focused on resolution within that channel wherever appropriate.The website is used frequently as a conduit for the phone channel, rather than a source of the desired information itself. Information must be made easier to locate, read and action.For a small but significant minority, primary contact with the council is seen as a barrier to resolution, and prefer instead to pursue direct contact with councillors. This perception needs to be dispelled to ensure customer services are not consistently circumvented or undermined. Residents preference for written correspondence stems primarily from a lack of trust in actions being recorded and pursued accordingly via other channels. Email could easily provide this security in a dramatically more immediate manner than a letter, assuming tracking of queries is simple, feedback is ongoing and any correspondence is maintained via a single appropriate voice of authority on the issue. Overpopulation of ‘activists’ in the local government landscape could distract from sincere efforts to listen and respond to broader citizen concerns. Displaying frequently used and hyperlocal content are two approaches to ensure that unique journeys through the site, and the key functions to that individual, are suitably emphasised. Users can be easily overwhelmed with content, much of it irrelevant to their needs. Delivery of hyperlocal content would likely be most effective when handled passively, rather than via user-driven customisation, ideally through use of postcode information stored against an online resident account. Current methods of engagement can seem disorganised or insincere. The belief is that excessive surveys and other quantitative techniques feel robotic or forceful, whilst tracking of progress regarding raised issues of concern is difficult if not impossible. Likewise, ongoing or repeat involvement is perceived as not valuable or desirable to the council. Evidence suggests that qualitative engagement methods are more likely to make residents feel listened to, valued and understood. Residents feel most influential when they are passively informed of consultations they would otherwise be unaware of, then engaged meaningfully throughout the entire consultation process and explicitly informed of ongoing developments and outcomes. Passive sentiment tracking is possible through the use of social media monitoring tools, though for the foreseeable future it is likely to overemphasise the thoughts and feelings of a minority elite of residents. However, the ability for Camden to seemingly ‘mind read’ the concerns of it’s residents is a powerful tool and likely to generate an immensely positive reaction. The use of prominent space on the home page to temporarily promote key events (such as adoption and fostering open evenings) can be divisive as it is open to interpretation of bias, favouritism or ‘preaching’. Any home page space used to promote key messages from the council needs to be carefully toned to be informative rather than pushy, and accommodate multiple messages across the broader spectrum of council activities. Residents use the website for a wide variety of purposes and neutrality of information is vital to ensure trust and prevent content from being obscured. Remember, ‘at your service’. Unaddressed or poorly maintained queries can cause a significant negative impact on confidence and trust in the council. Residents feel empowered, considered and more understood when they are regularly and passively informed of ongoing concerns, even if these concerns are not resolved to their satisfaction. Email queries should be addressed within a reasonable timeframe, with an indication of progress whenever resolution is not instantly possible. All outcomes, however negative, should be explicit, and dealt with in an open and honest manner. Next ArticleElection 2010: How will citizens win this election?